² An eight fluid oz. 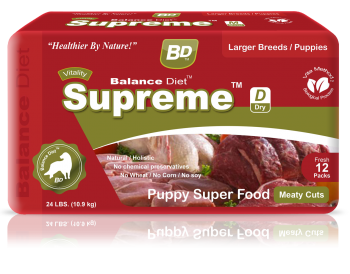 measuring cup of Nature’s Best® With Real Beef Adult contains 3.5 oz. by weight. Adult Dogs: begin with these guidelines. You may adjust feeding portions for desired results to maintain proper body weight. If you are uncertain, or you are feeding Supreme V™ Dog to a puppy, consult your Balance Diet vet. tech., or ask your veterinarian. 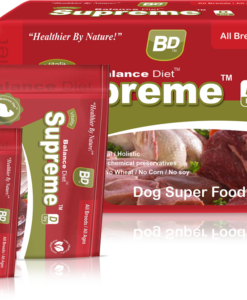 BD-Tip: feed 2-3 meals daily, or free feed. 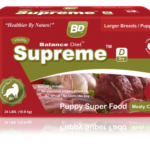 Storage: Taking good care of your very special food-Supreme V™ is individually fresh vacuumed packed for optimum freshness during storage. 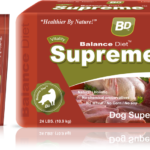 You do not need to refrigerate/freeze New Supreme V™, Kibble, for the very best results including maintaining optimum freshness store cool. We recommend storing back stock in a cool dry space. 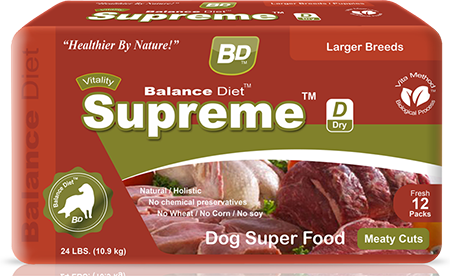 Supreme V™ should travel well with whatever quantity you need indefinitely without the necessity for cold storage. 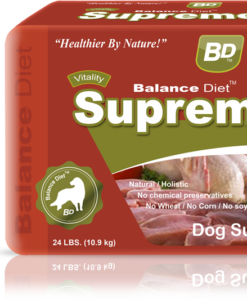 Our proprietary VitaMethod™ process is an excellent stabilizing force; however do try to avoid storing open packages in humidity as Supreme V™ is real whole natural food. 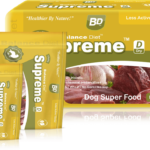 Nutritional Data for 100 grams of BD™ BEEF; CURED, RAW. 68.9% Cals from fat, 30.8% Cals from protein, 0.3% Cals from carbs. Protein Score: 100, 59% ideal. EAA score: 2.05. 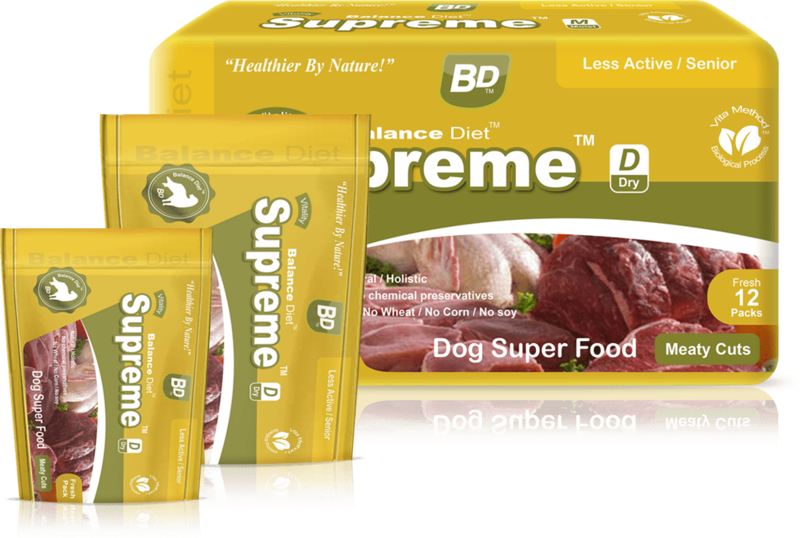 Animal feeding tests using AAFCO procedures substantiate that Balance Diet pet foods provides complete and balanced nutrition for for all life stages of dogs.